Now that we are in the middle of autumn, weather is getting colder and those blustery fall winds are making it that little bit more difficult to drive. 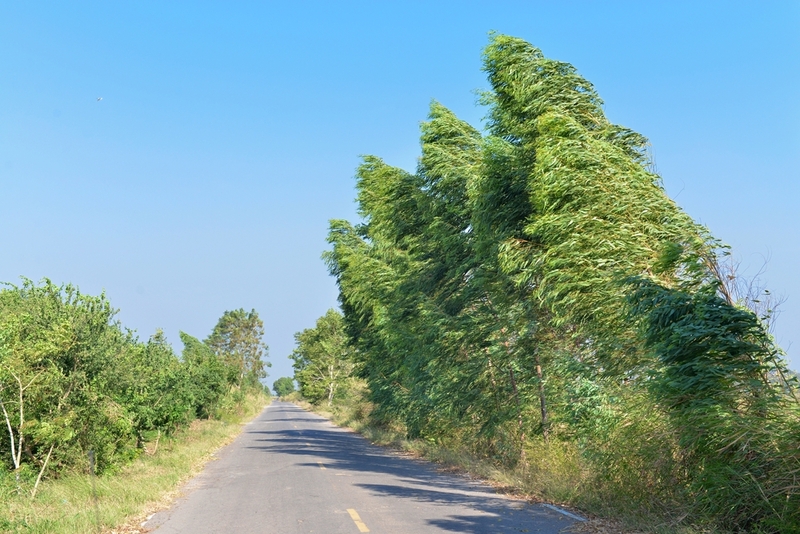 Strong wind can be a dangerous hazard when driving, and it does not matter if you drive a big wind-catching vehicle or something small, high winds can be a problem for anyone on the road. Here are some tips to stay safe while driving. Obviously you are always supposed to be aware of your surroundings when driving, but never more so than in windy weather. Be aware of anything on the side of the road that could blow into your path, such as branches or trees. If there are trees or other vegetation on the side of the road, look for how much it is moving, and if anything could possibly detach. If you see a truck driving ahead that is losing its load, give it a wide berth. Not only do you have less control of a vehicle the faster it is moving, but you also have less time to react. Sudden gusts of wind can cause problems that no one will be able to anticipate, and if you are driving slower you will have a better chance of avoiding them. In this sort of weather truck drivers will have a much harder time maintaining control. They are used to this however, and should be able to deal with it expertly. Having said that, you should still give them a lot of space on the road. They may be forced to veer or suddenly change lanes as a result of a sudden or strong gust of wind. Regardless of weather, we should be giving big trucks plenty of space anyway. For more tips on this, visit this page. Side winds tends to be the scariest as a driver, because if they are strong enough they can blow you off course. If you feel the side wind changing the direction of your vehicle, gently steer in the opposite direction to bring yourself back. Do not panic or turn your wheel quickly or suddenly, make only smooth and gentle movements. Head and tail winds are not as difficult to deal with, as they are only likely to alter your speed slightly. You may find yourself having to adjust your acceleration slightly to compensate. The best advice that one can take for driving in windy weather is to be a safe and responsible driver. Be prepared for anything that might happen. In other words, be a defensive driver. For more tips and facts about driving, check out our Facebook, Twitter, and Google+ pages.